A year ago, I bought my wife Ruthie an annual pass for Florida State Parks for her birthday. We used it approximately twice. 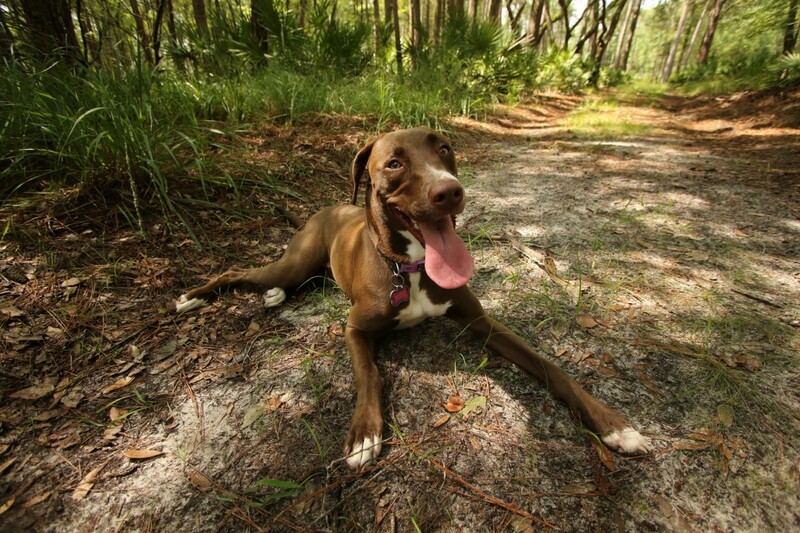 Part of that wasted opportunity was an early-morning work schedule that had me exhausted by the time weekends arrived, and we also welcomed an eight-week old puppy into our lives late last summer and spent the second half of the year easing Lula into exercise at Alachua County’s dog parks and on short jogs. A year later, Lu is ready for more. 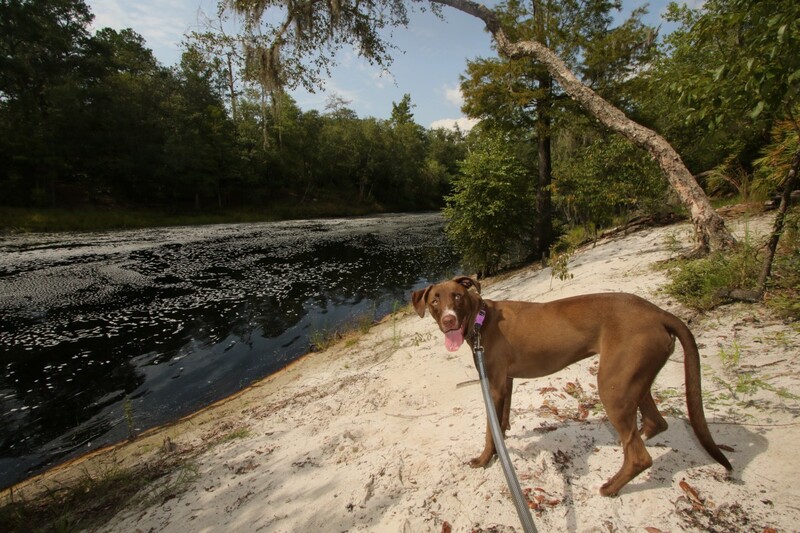 She loves the outdoors, and our family is ready to see the pockets of wildlife left in this state. Ruthie and I have again set out, sans annual pass expense, to see as many state parks as possible. We’re going to bring along our dog and camera — ergo, the title of this Medium series. 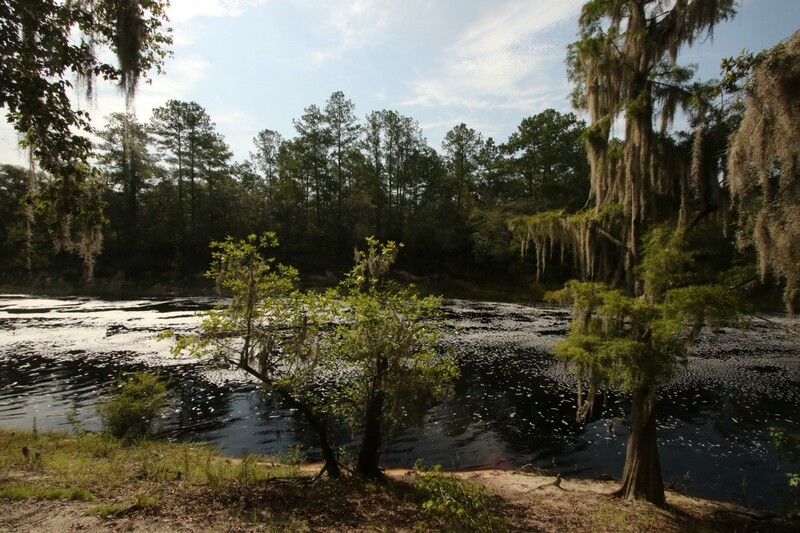 The tour kicked off this past weekend with a day trip to Hamilton County and Big Shoals State Park. 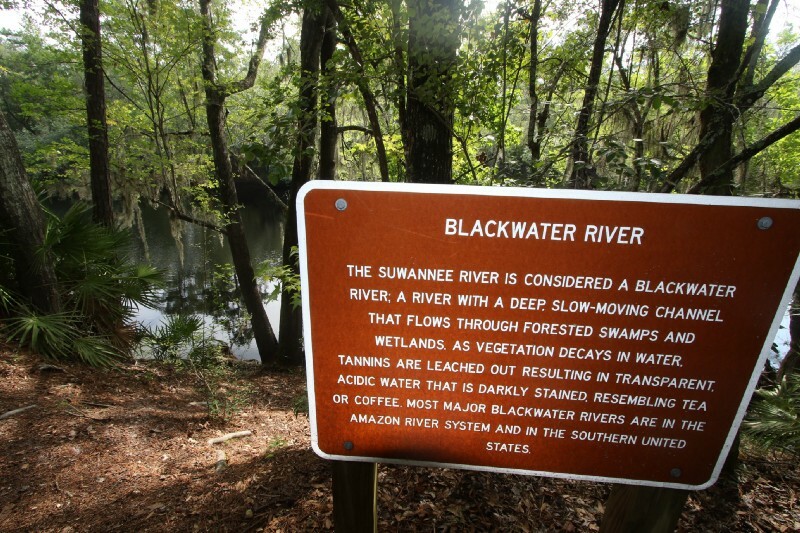 I’d seen friend TJ Pyche’s pictures from there the previous week and wanted to check out Florida’s largest whitewater rapids in person. Using the trail map from Florida Hikes! 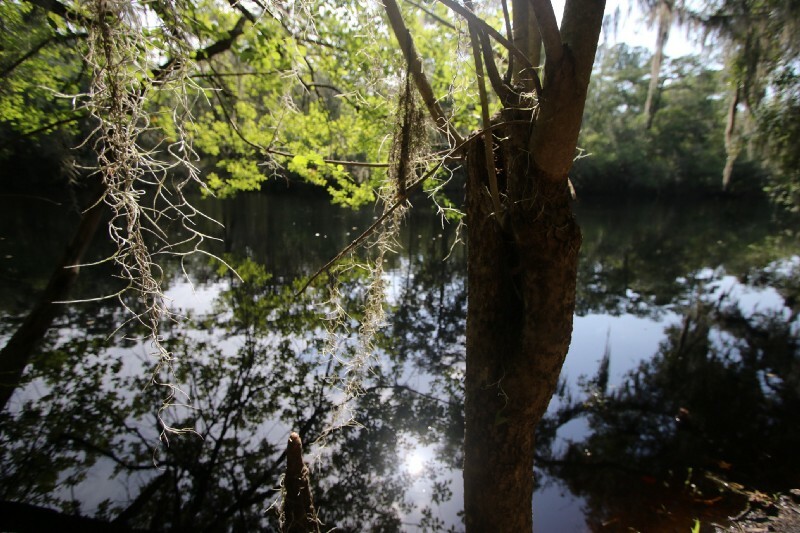 (an excellent statewide resource), we planned out a five-mile walk in the woods. 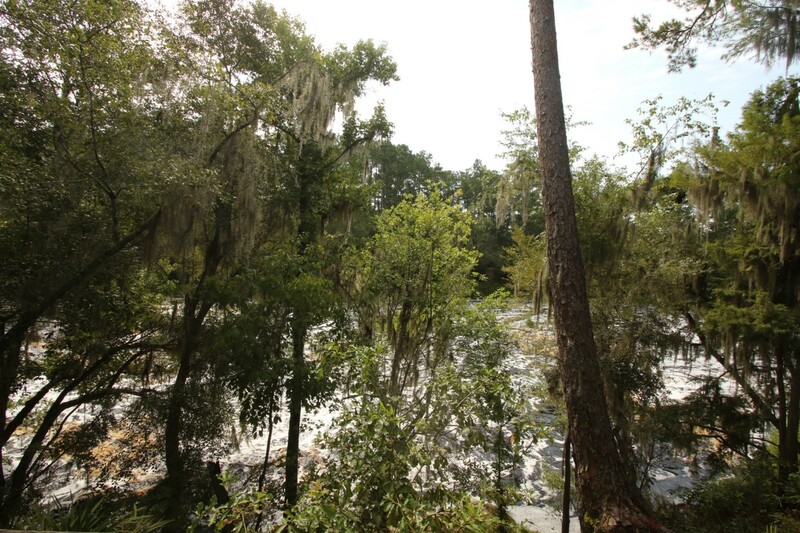 We got there by 9 a.m. before the sun got too hot and set out along the Suwannee River. 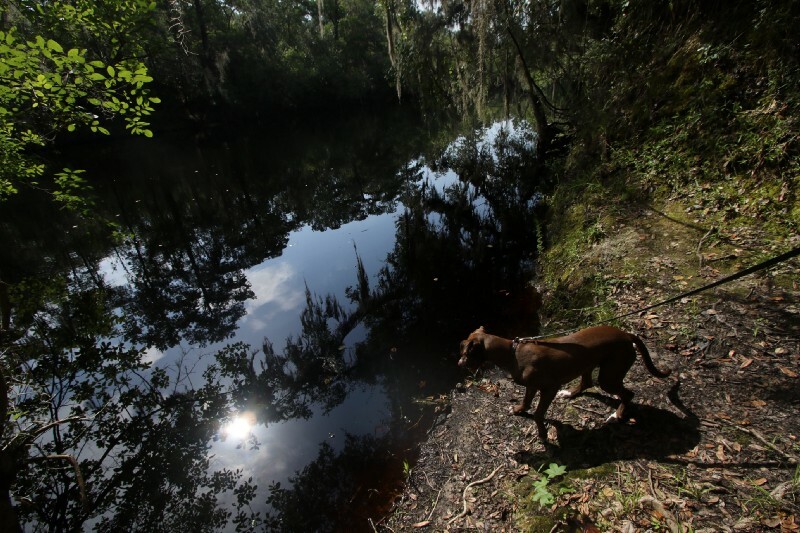 Lula considered a swim in the blackwater river. The trail is almost entirely flat, rising just a little to afford a better look at the rapids through the trees. One section of them churns so much it briefly turns the water the same color as foamy cola. 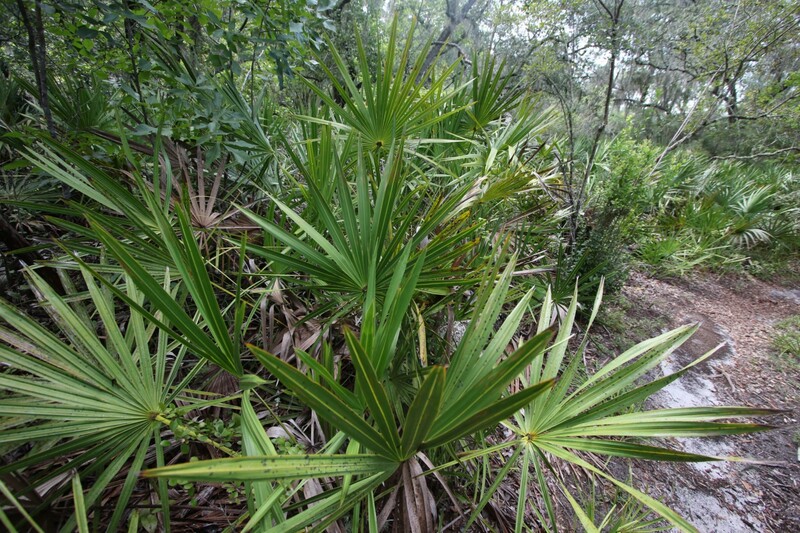 Back on land, saw palmettos dominate the foliage during the first part of the five-mile loop. A glimpse of the rapids through the tall trees on shore; I somehow failed to snag a better photograph despite driving an hour each way to see them. Five hundred yards down river past the rapids, the water settles and the foam dissipates. Just a dog on a beach. 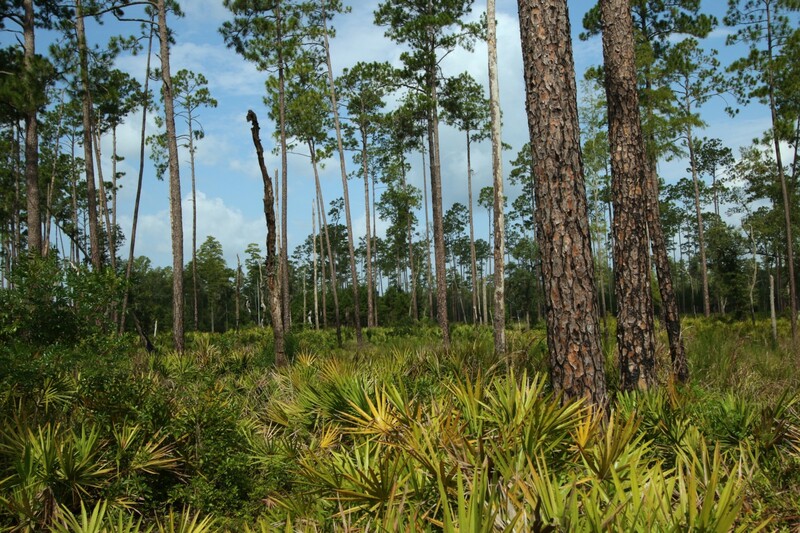 Saw palmettos as far as the eye can see. If we had it to do over again, I’d start the trail at dawn because large sections of it are without shade. Even by 10 a.m. in north Florida during summer, you’re going to drip. 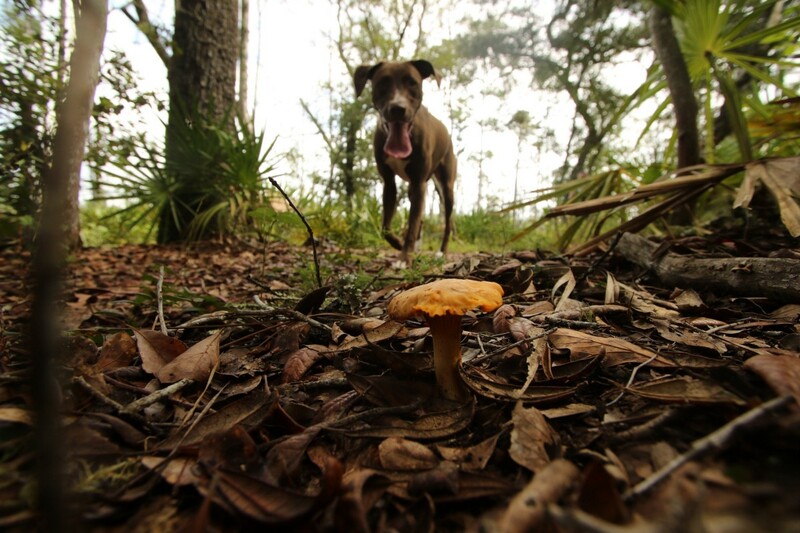 Eventually, we did find some cool shade on the second half of the path (along with an orange mushroom). Going to spend the coming weekend settling into our new house, but more dog-led Florida adventures will follow this year. Suggestions for the next trip are most welcome.